The tension is already on the rise for the people whose passports are up for renewal in the current year. Already 2017 has been marked as the year for the maximum number of passport issue and renewal in the history of the United States. As per the predictions and the trends of the first quarter of the year, 2018 is going to surpass it quite easily and by some margin. Thus, it is obvious that there would be a long queue for the renewals as well as the new passport applications. By now, it is known to everybody that the recent surge in the number of renewals has been an after effect of the changed regulations back in 2008. 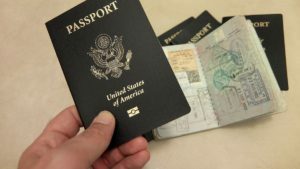 However, the shocking trivia is the fact that still nearly half the US population does not have a legal document to cross borders in spite of the fact that their passport is one of the most powerful documents in the world. In order to combat this surge and the aftereffects of it, the primary thing that needs to be done by the population is to know the regulations in a proper manner. This would not only help them in getting to their passports smoothly but on the hind side would also help in enhancing the pace of the service for them. 1. Apply at a proper time: – Primarily, most of the countries, these days, require a passport, which is valid for 6 more months at the time of arrival. Thus, none can wait for their passports to reach expiry before applying for the new one. Further, if your looks have changed significantly, you would require to renew your passport with immediate effect. The changes spoken about here are like change caused due to facial surgery, Addition or removal of facial tattoos, undergone gender change or gain or loss of significant amount of weight. Remember that the photo of your passport must resemble your current looks. 2. Glasses can create a few problems: – Another significant change has been the fact that glasses of any sort are not allowed in your passport photo. Any sort, here, means numbered glasses or even sunglasses. So if you have submitted a photo where you are wearing any type of glasses, that might cause a considerable amount of delay in the processing of your passport. More importantly it is applicable not only for new passports but also for the renewal applications or even any other applications wherever applicable. 3. Photograph must be standardized: – These days even the expression that you have given in the photograph is a matter of immense importance. Remember that you can neither smile more nor can you provide any expression that might prove to be detrimental to recognising you in the photograph. So when you are opting for any photo, make sure that the photograph is one that helps in recognizing you easily. Or else there might be a few problems face in the security check-ins in the airport hampering your journey at the last moment. 4. Know the new fees: – You must remember that the fees for a few aspects have changed. An additional hike of $10 has been implemented for all new passports, all minor passports in cases of both renewal as well as new passports. The only exemption in this case are the applicants using the DS-82 Forms. They are the only people who are eligible for the older rates. 5. Supporting documents are of utmost importance: – Another issue where a large number of anomaly is found are the supporting documents. There has been many cases and that too consistently while processing the passports of people throughout America that the supporting documents have been missing or wrong documents have been submitted. The applicant must remember that a bit of study needs to be done regarding the documents that needs to be provided while applying for the passports. It is very important to have the documentation in proper place when applying for such an important document. Thus, submit your documents specifically in order to get your passport in time. Or else there might be huge issues that might cause big delays in getting your passport to you in tome for your journey. 6. Online renewal is the easiest way out: – Given the current scenario, online renewal is the easiest way out to bail you out of the current situation. It is quite obvious that not everybody has the tie to stand in the long queues outside the passport offices. The demand of the hour can be easily made up by using technology to its optimum limit. The presence of the online agencies have made it even easier for the people to get their passports. All that needs to be done is to get the application done through the links provided through the pages of the websites of these online agencies. On filling up the form the link would direct you to another page where you have to provide with the documents. Once all the documents are submitted, you have to ensure the type of service you want. Remember that the faster the service you require, the more you have to pay for it. Once the payment is done, you have to provide the online agency with your mailing address. They would make sure that your passport is mailed to you within the speculated time. To sum things up, it must be admitted that the current scenario is not a rosy one if you are a citizen of America. There are several issues regarding a passport and the changed regulations. People must be aware of the changes, which are evident in the modern times. Otherwise, the consequences might be horrible. Thus, knowledge regarding the regulations as well as the knowledge regarding the dos and the don’ts have also become quite important in the modern times. Still the positive aspect in this issue would be the online system of renewal and even the new passports. The government is even setting up camps in important cities to sort this issue out. Keeping an eye on the calendar for the camps near your location would also be a smart way out for securing your passport on time. This entry was posted in Articles, Travel by The Passport Office. Bookmark the permalink.